We talked about the basics or applications of Virtual Reality, Augmented Reality through our previous publications. How You Will Compare Virtual Reality Vs Augmented Reality? There are Specifications. Computer-Mediated Reality is the Main phrase, Which Born in ’70s. It is Steve Mann who introduced the Digital Eye Glass in 1970s as an aid to help people see better, which is outlined in IEEE Technology & Society. 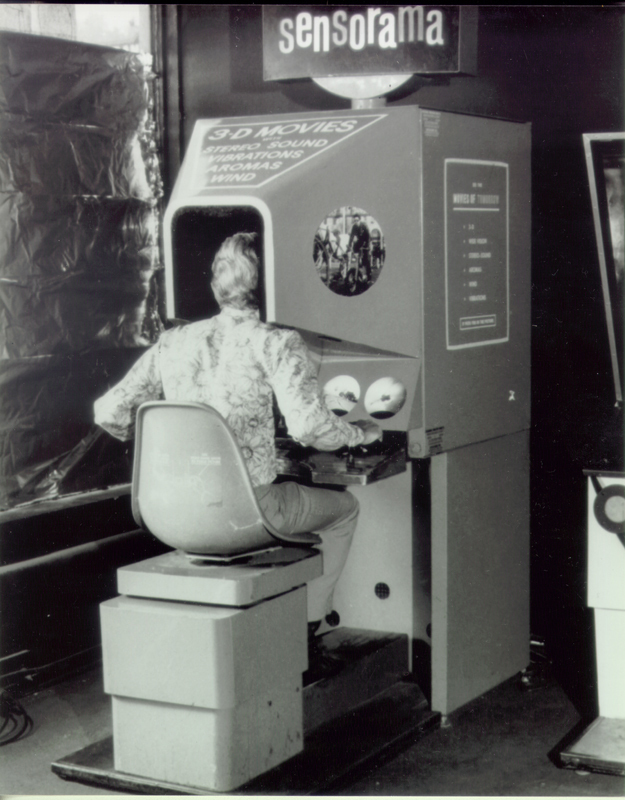 Virtual Reality is existing since 1950s, in the for of Sensorama. In 1968, Ivan Sutherland and Bob Sproull, created the first virtual reality and augmented reality (AR) head-mounted display (HMD) system. When we are wearing a normal spectacle, we can see 100% real world. If that glass is like Google Glass, which can add some data in front of our eyes with projection. In such system, arbitrarily if 25% Virtual and 75 % Real, then it is Augmented Reality. On the other hand, if we wear a headgear partially occluding our direct vision to the real World and computer supplies minimum 75% Virtual as minimum and allows 25 % Real, that is Virtual Reality. As example, I am using a MacBook Pro and typing, the computer screen is not exactly overlaying the computer generated data over my field of vision. It is neither Virtual Reality nor Augmented Reality. If a headgear is added so that, I can only see the display by the Macbook Pro, that is Virtual Reality. On the other hand, if the same headgear allows to see the real world and show the page like an overlay or OS X icons, that is Augmented Reality. There is Google Cardboard, which is nothing but new form of old View-Master named stereoscope is virtual reality. Virtual reality is all about the creation of a virtual world for the users mainly by visual means. View-Master named stereoscope modern form is virtual reality, it has computer to aid. But basic principle is the same – to cut off the user from the distracting real world. Modern form, obviously has been playing 3D games instead of viewing a 3D form from film print on View-Master named stereoscope. Computer-Mediated Reality introduced by the Digital Eye Glass in 1970s by Steve Mann is form of augmented reality. Basic principle is the same – to keep the user in the real world and supply easily viewable data without movement of head or the eyes. Augmented reality is more complicated by technology. We hope that, with this explanation in plain English, the comparison of Virtual Reality versus Augmented Reality will be easier to anyone. We use Augmented Reality in everyday life – we use the devices in Orthopaedics for assisted works which are based on Augmented Reality, our cars have HUD which shows all the data from speed to GPS information are part of Augmented Reality, rather Computer-Mediated Reality. Virtual Reality’s main usage is in serious fun. Whereas Augmented Reality is practical. Nowadays, with Virtual Reality, training and therapy are delivered too, they are basically like 3D Games. Obviously, Augmented Reality is more focussed for development and there are hardware components for augmented reality from processor, display, sensors, input devices, MEMS sensors like accelerometer, GPS, solid state compass as the building blocks. Head-Up Displays, Eyeglasses, Contact lenses, Virtual retinal display for Augmented reality. Obviously, software and algorithms exists as well as broad usage of augmented reality is normal in many serious works. Are you feeling dizzy about so old systems and while reading virtual reality versus augmented reality? Where is new? UNIX system is the origin, unix like systems, GNU/Linux, Android, iOS, OS X – all uses the same like kernel since past 60 years. Microsoft Windows was that one which used to hang. After Windows 95, Windows NT uses OpenVMS kernel. That person who “stolen” OpenVMS to Windows NT, now works at Microsoft Azure. That is the chief thief, for that reason Microsoft started to say that GNU/Linux is good. After NSA PRISM data theft revelations by Edward Snowden, all know that Governments steal public’s personal data by using backdoors via their kind of partners – Google, Microsoft, Facebook and some more. Processors are also now new. ARM Processors were existent before. Before jumping to the buzz words including Virtual Reality versus Augmented Reality or buying a gizmo, you should be careful about data security. This Article Has Been Shared 1252 Times! The Great History of Microsoft Windows Operating system: A tour through screenshots. Cite this article as: Abhishek Ghosh, "Virtual Reality versus Augmented Reality," in The Customize Windows, May 23, 2016, April 21, 2019, https://thecustomizewindows.com/2016/05/virtual-reality-versus-augmented-reality/.